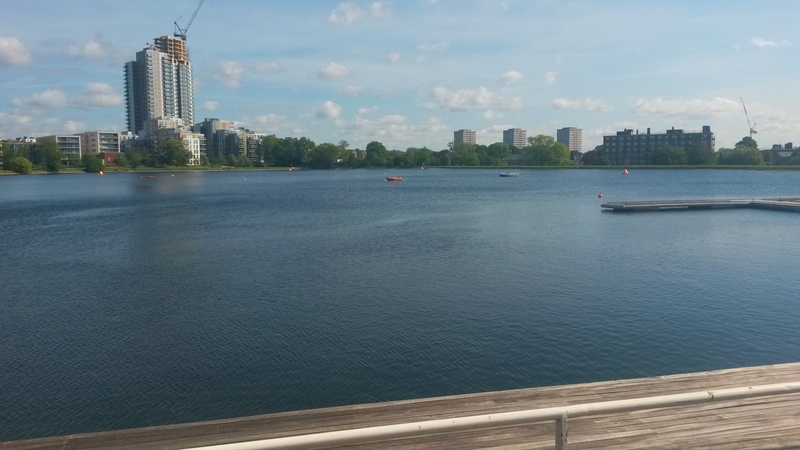 For anyone looking to get into or practise open water swimming, the Stoke Newington West Reservoir centre is a great facility. It’s open for the whole summer on Saturday and Sunday mornings. Have a look on their website (it’s a Better run facility) or look at Capital Tri if you are interested in racing there. Here’s a picture taken on the morning of a race there in May.